Let’s talk about a few reasons why you may be here. You may be a fellow bartender that completely understands the importance of ice, because we’re high maintenance like that and you want to make sure that I’m pumping out some accurate information. Or maybe you’re completely new to the beverage scene, and was curious as to why I would talk about something as basic as ice. Just as your tonics have a massive influence with your G+T’s, ice plays a VITAL role that is often neglected, and I’m here to shed some light on WHY you need to start paying attention. Now if you’re the type that asks for no ice…well hopefully some education here will help you realize why your glass should always be packed full. 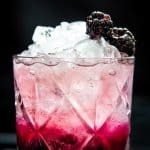 This article will breakdown the different types of ice that’s typically used in cocktails, when and how to use it (with a quick and easy summary chart below if you want to skip all the reading), some common practices, and a special step-by-step visual diary on how to create clear ice at home the easy way! If you were confused as to what this could possibly look like, than just take a look at the name. The classic Tom Collins is served in a Collins Glass (if you need a refresher on different types of glassware, make sure to follow to this interactive guide here). Seeing as the Collins glass is tall and narrow, we’re finding more and more bars carrying a singular tall ice cube to accommodate, aka the Collin Spear. I’ll be honest, I’m all about efficiency, and I don’t carry a mold for Collin Spears (plus I don’t have the space). I’m happy using the typical 1 inch cubes standard with most freezer molds, or Kold-Draft ice if you’re lucky enough to have access. These are simple stacked on top of each other, creating more opportunities for your cocktail to get appropriately chilled in a short amount of time. Why is this important? Typically most cocktails in a Collins glass are meant to be drunk fairly quickly. With a tall Collins Spear, I find that it takes slightly longer to dilute and chill a cocktail, compared to multiple 1-inch cubes. This is due to the fact that their is less surface area that a cocktail will get in contact with when using a Collin spear, which means it won’t chill as quickly. Translation? By the time I’m about half way into the cocktail, only then has it reached its optimal temperature and dilution. There are benefits to the Collin Spear, so please just take my opinion as a simple observation throughout the years. For one, if you typically drink slow and you hate the inevitable dilution that occurs than the Collin Spear is definitely the right choice. In addition, it’s stunning. It’s without a doubt a conversation piece and easy to throw in some fresh citrus inside the cube for the most BAE looking cocktail. So what kind of cocktails go with a Collin Spear? The obvious Tom Collins would do, if you enjoy your Vodka Soda in a tall glass this would be the ice to use, or even a delicious Paloma! To buy a mold for yourself online, just click on the image. This is probably one of my favourite ice varieties, because that means the Tiki and Julep-styled cocktails are about to DROP! 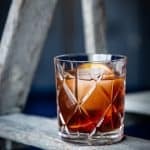 If a recipe states that it uses crushed or pellet ice, chances are it’s VERY IMPORTANT and essential to the overall cocktail. Let me explain. Let’s take a look at the traditional Mint Julep. The CLASSIC recipe is pretty much all sugar, mint and bourbon. 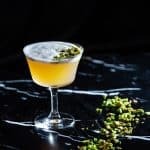 There’s no other juices to top it off, or a soda to even it out, so in essence it’s a booze-forward cocktail, but it is far from what you’d find in an Old Fashioned. Water plays an important role to making this cocktail palatable and the perfect summer beverage. Just as it is recommended that a scotch be paired with a drop of water to open up its bouquet of aromas, I find that crushed ice does the same here. With the appropriate dilution we have a perfectly portioned Mint Julep and that can only be done with fast-melting ice. With a ton of exposed surface area and fast dilution, this is the perfect companion to create Mint Juleps or any tiki-styled cocktails. This is a big reason why you will find this style of cocktails in tropical or tiki-inspired bars, because it’s associated with hot and humid weather and for quick consumption. It screams summer, and the cocktails and bartenders want to make sure you’re well hydrated. There’s a time and a place for everything, and nothing can be more true than when figuring out when to use 1 inch and 2 inch ice cubes. The 2 inch cubes are definitely a favourite of mine and very popular amongst home and expert bartenders. You’ve seen it before, it’s the stunning block of ice that’s typically served with your Old Fashioned, Negroni or Manhattan. It allows for slow dilution, while keeping the cocktail chilled. Every home needs a Silicon Mold of large ice cubes, that’s not even a question. But that’s pretty much the reach when it comes to the 2 inch molds. The slow dilution is something that wouldn’t be as effective or ideal for cocktails such as your classic Gin and Tonic, and the most popular example of this is the makers behind Kold-Draft. This unique ice machine company designed perfectly square, dense 1 inch ice cubes. Impurities are removed with their innovative design and calls for slower dilution than your typical house-made ice. So instead of the ice cubes that you use from your freezer molds, this would be the substitute. I already mentioned this briefly with the Collin Spears, but the 1 inch ice cubes are pretty much for your everyday use. It’s your companion to a Gin and Tonic, or Vodka Soda, or for a delicious Tom Collins or Paloma. Think of cocktails that contain a large portion of carbonated soda in the drink, and you will need 1 inch cubes. Now the Kold-Draft machine is meant for institutions, restaurants and bars, but you can find plenty of molds that do the same. Kold-Draft is like the haute couture of ice machines, you COULD live without it, but as bartenders we have to be fancy like that and imbibe in only the best. I’ve created links of some of my preferred 1 inch and 2 inch molds. So make sure to follow the links attached to the images! Now I’ll be honest, I do not have a ton of experience when it comes to dry ice. I’ve just never really had the opportunity to personally work with it myself, but I’ve seen it enough times that dry ice can be perfectly safe when properly managed. Although dry ice is not a common ingredient found in cocktails (high cost for restaurants! ), there is something to be said about the effects it can bring to an overall experience, so lets dig right in. Dry Ice is a solid form of Carbon Dioxide. 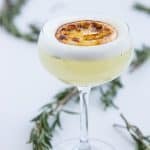 Instead of melting when heated, it releases carbon dioxide gases, which results in that cool, smoked effect often found in molecular gastronomy cooking or cocktails. Now this is simply done by placing the dry ice in a water bath. The most common uses for Dry Ice is a creating that special fog/smoke and bubbling effect, quick freezing, industrial cleaning, and transporting goods at extremely cool temperatures. What you need to be mindful of is how it SHOULDN’T be handled. NEVER ingest/consume dry ice or allow it to touch your skin because it may cause severe burns. Protecting yourself is key, as its extreme low temperatures can cause frostbite. The fact is, it won’t add anything in terms of flavours, and technically you can place a small piece of dry ice in individual glasses to chill your cocktail. But if it hasn’t been apparent already, ice is our friend and we like a touch of dilution, which technically we do not get here since dry ice releases gases, not liquid. Just be mindful where it is in the glass so that you don’t accidentally consume it. Ice blocks come in a variety of sizes, but what I’ll be referring to here is what you will commonly find in a punch bowl. I’m a big fan of punches, especially if you’re hosting a ton of parties and just want to forget about your cocktail troubles and get to entertaining and fun. Ice blocks can be easily made with a food grade plastic container or mold (typically 5 inch squares). Just make sure to wrap the top with plastic to avoid flavour contaminates in your freezer or using a freezer that’s dedicated for ice. These are ideal for punches because it takes much longer for the ice to dilute, while still keeping the punch chilled. 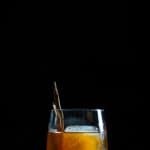 Since punches are typically consumed within 20 – 45 minutes, it gives you and your guests enough time to consume the appropriately diluted cocktail. I CAN’T STRESS THIS ENOUGH SO I’M GOING TO CAPS ALL OF THIS. DO NOT USE REGULAR ICE FOR PUNCHES!! In about 10 minutes you will have a water-down hot mess and all your delicious punch-making will be for nothing. Now another solution if you just don’t have access to large ice blocks, is diluting the punch a little longer than instructed (whether that be stirring the punch longer, prior to pouring into punch bowl) and making sure individual large (2 inch) ice cubes are made available in each glass for guests. Spheres are typically used in the same circumstances as large 2-inch ice cubes. They are a stunning addition to any home, and great for your Negroni, Manhattans or Old Fashioned. For those who love a Martini on the rocks, this would definitely be the way to go. Now the only reason I typically don’t use sphere ice molds, is because I’ve never had any luck getting the ice out of the molds (I haven’t tried that hard…). Plus, when it comes to enjoying a beverage, I love that the cubed square typically stays in place and doesn’t roll around and hit my nose. I’m a touch biased here when it comes to spheres, but if you love it, than use it! It’s completely interchangeable with the large 2 inch ice cubes, so you have a ton of opportunities to use this style of ice! Too much reading involved? Well here’s a handy chart to quickly reference on the go. Boiling water will help reduce the cloudiness that’s often trapped in ice – Some experts will even boil the water twice, and that’s because it gets rid of the gases causing that effect. Just because your ice is cloudy, doesn’t mean its bad quality. If you don’t drink or like the taste of your tap water, than you won’t like it as ice. ALWAYS use filtered water if that’s what you prefer. Ice will absorb the other flavours in the freezer, which is why bars will dedicate an entire freezer for just ice so it isn’t affected. If you don’t have the space for this, than simply wrap the mold in plastic wrap or keep the meats out of the freezer. Don’t be shy with ice and FILL IT UP ALL THE WAY! Unless I specify that I want little ice, I expect a professional bartender to fill the entire glass with ice. I can tell a bartender takes pride in cocktails and with the ice they carry by this SIMPLE gesture. There’s a reason the glass is a particular size! There’s a reason why the cocktail goes in that glass! 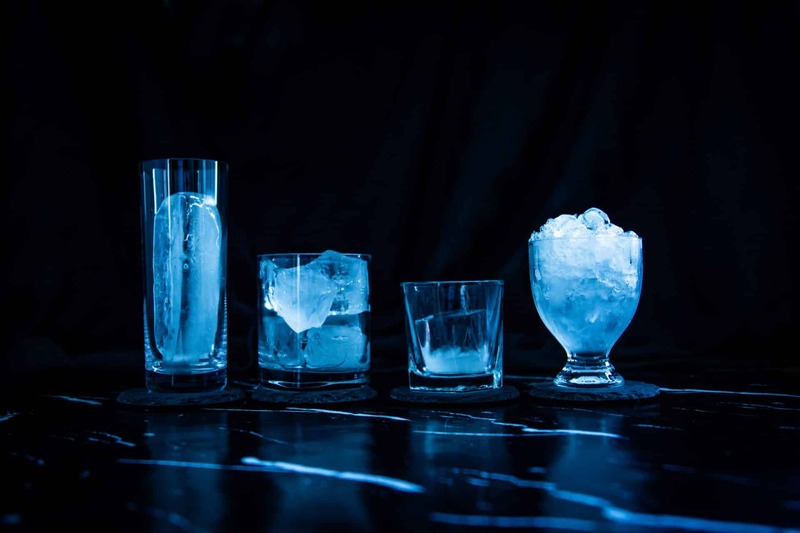 Cocktails have been constructed and designed for the ice in mind, so that it allows the appropriate amount of chilling in the appropriate time, proper dilution and an overall better experience! Can you tell this is an important one for me? For those who become obsessed with this beverage scene, you know all too well about the ‘clear ice’ goals. It’s that magically piece of DIAMOND in a glass (who really needs a big fancy engagement ring?) that just screams professional and DRINK ME! I’m embarrassed to say that it has taken me a long time to make clear ice, but I’m here, it’s done and I have a visual diary to show you how you can make clear ice at home! Now this is definitely the easy way to create clear ice, and you still have a touch of cloudy residue at the bottom, but that can easily be chipped away with a few simple tools. I hope this or any monthly educational feature here on Liquid Culture helped you! If you ever need more detail or information, or have an idea in mind for a monthly feature, make sure to comment below or send me a quick note of what you’d like to see next!